3D renders are created to have a clear view of how our plans and blueprints are going to be in reality. 3D renders are commonly used to visualize buildings, but they can be also used for products as well. We produce high quality, photo-realistic 3D renders that look almost exactly like in reality. In Interior Renders, there is a vital importance for precision regarding various details, including furniture, lights, shadows, reflections, the way objects are located in the space, views, etc. Upon request, we will add a feeling of movement, characters, real views, etc., to make the visualization as real as possible. 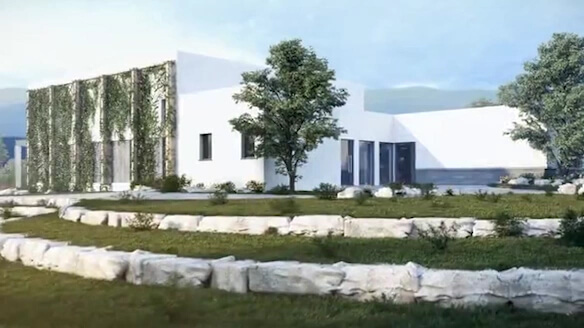 Highly realistic and exact Exterior Renders – including lights, shadows, street traffic, municipal facilities, plants and finally the building itself – all combined create a photo-realistic feeling, as if the picture is an actual photo, thus allowing to imagine the plan as if already existed in reality. We can “plant” the renders in real surrounding of the project. Obtaining the surrounding photo can be done by a photographer or using a drone. Complete furniture and objects placement create highly detailed floor plans, suitable for printing or posting online. We offer several types of Floor Plans, including “Classic” 2D, floor plans with a 3D feeling, and also full 3D floor plans with an angle view. 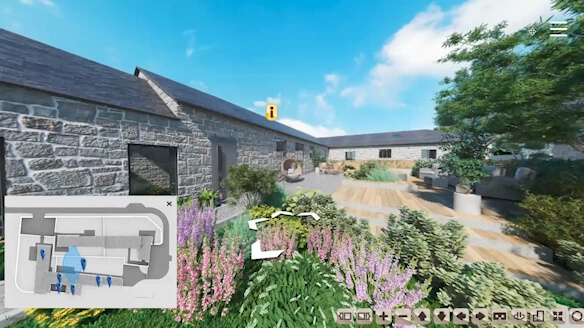 The Tours offer a virtual visit to the property, including a 360-degree view in and between room, in a high quality rendering. We offer tours using 2 different technologies – moving between points in a property or tour using the WebGL method, which is similar to a computer game movement. Get a feel and impression of the room with panoramic 360° view, in which you can view in high detail any object in the room. Use VR glasses (of any firm or model) to get a highly realistic feeling. WebGL cutting edge technology allows you to walk inside an entire building or project. The technology is the same as used in computer games. We produce professional videos for marketing and visualization projects, based on dynamic 3D rendering, combined with visual and audio elements, including narration, effects and full editing. Marketing Videos offer a combination between dynamic photo-realistic visualization and your marketing messages. We produce masterpiece videos from A to Z, including rendering and visualization services, narration, sound effects, music and visual effects. 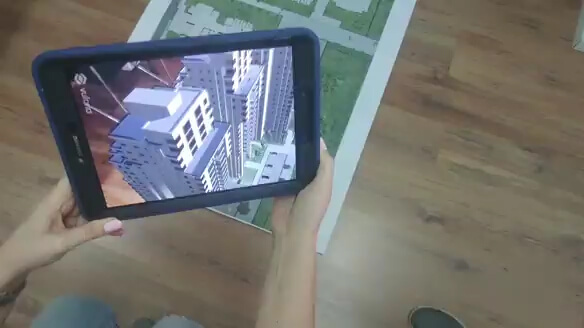 Augmented Reality Apps that upgrade the visualizations and floor plan, by adding 3D effects that blend with your printed plans, using a smartphone or a tablet. Our apps are designed to add the feeling of sophistication and deep impression for clients. We produce an augmented reality app for any floor plan or building plan. Using your mobile device or tablet you can amaze your potential clients and partners. We can produce both IOS or Andorind Apps for any model of device (3rd Generation and above).